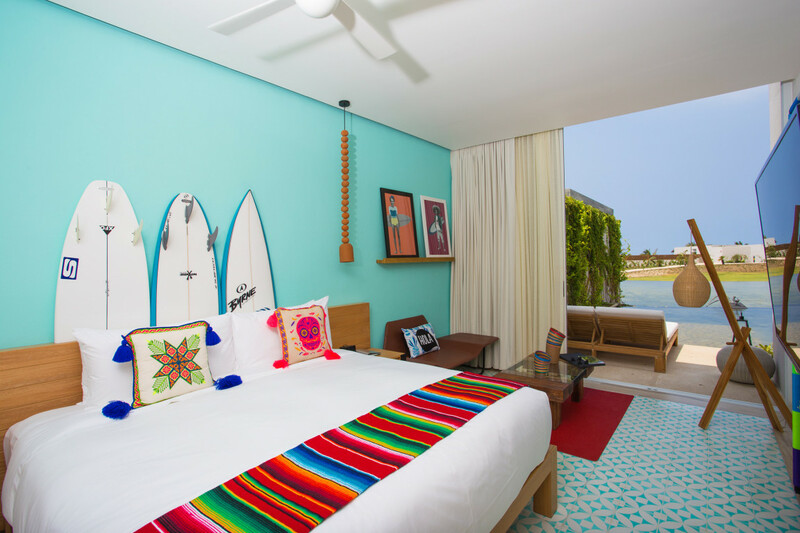 W Punta de Mita is inspired by the local bohemian surf culture found throughout Mexico's Pacific Coast. 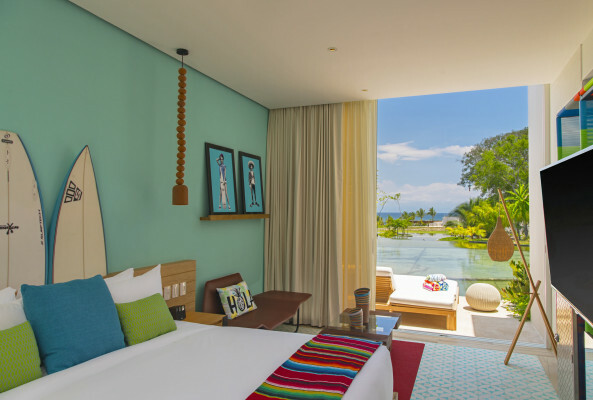 W Punta de Mita presents three indoor "studios" rooms for up to 90 people that offers state of art audio-visual equipment including: mood beats, signature scents and more, ideal for small and medium size meetings. 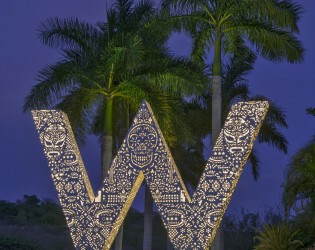 Music is one of the most important passions of W Hotels and this property is not the exception, every Thursday, Friday and Saturday there are activities related to this passion, on thursdays our property has two DJs playing the best beats, one in Living Room Bar and the other in Spice Market; on Fridays the property has live music in the beach or at the living room and another DJ at Spice Market, on Saturdays the property offers a champagne party called "Bubbles & Beats" starting at 2pm with a DJ playing at the Wet Deck (pool) area near offering a discount of 20% off for some selected champagne bottles (a bubbles machine compliments the scene) / During specific dates music options may vary with more activities like a sunset sip at the huichol walkway (with a DJ playing), other activities can involve DJs playing mixed with live sax or harmonica sets. 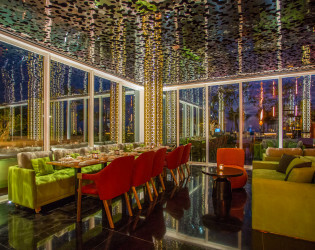 W Punta de Mita has the third opened Spice Market in the World, one is in NYC and the other in Doha. 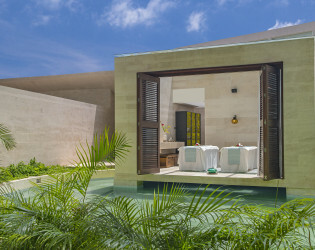 The Beverages & Food department has a different way to deliver some products, sometimes guests are surprised with a Drone flying to their rooms with some amenities, also this Drone can be used for specific activities (such as a wedding ring delivery). 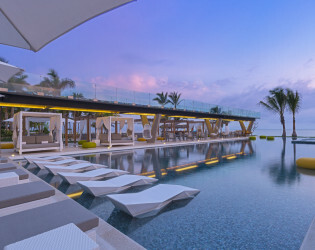 Signature cocktails are a must, guests can be surprised with an amazing cocktail experience with tropical fruits and local spirits including selected mezcales and raicilla / some cocktails are reinvented by the resident mixologist giving an outstanding spin for traditional beverages. 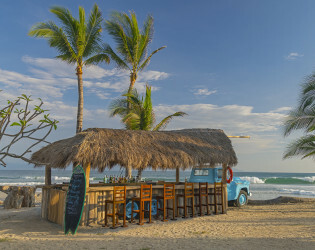 The Cevicheria offers a great and magnetic ceviche journey, this outlet is becoming a must for those who love to have a great fresh meal and an amazing beach view / this restaurant simulates a food truck, its name Cevicheria was given because this venue has the front part of an old Chevrolet 50´s pick up. 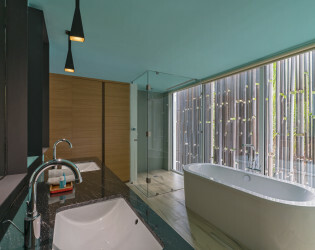 The E WoW suite suite offers an amazing experience for those who want to have a private party with a surrounding swimming pool, stunning audio system and a runway inside the living room area of the suite. Local culture is one of the most important assets for W Punta de Mita, the huichol walkway simulates a huichol carpet acting as a central nerve system; through the property guests can find more huichol signage culture in different spaces, also de bohemian surf culture is present through the property. Our property pays homage to the area’s profound cultural history. Here, Colonial grandeur blends seamlessly with the extraordinary artistry of the indigenous Huichol people. These elements exist in harmony with a very modern sensibility that extends throughout the resort, setting the stage for an unforgettable visit. Light-filled rooms and suites provide a sophisticated oasis on the shores of the Pacific. 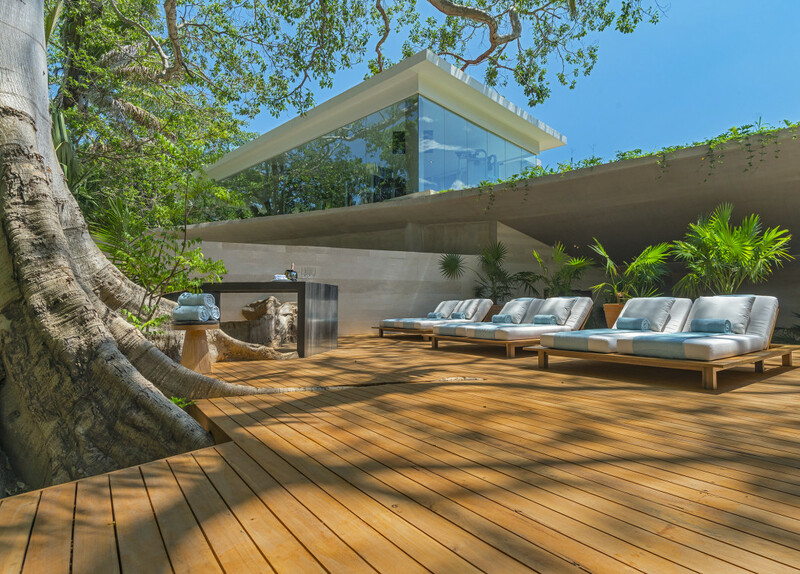 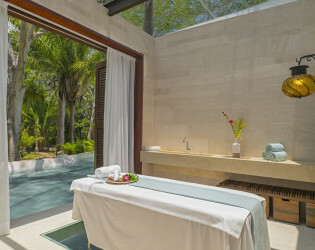 Laze on a lounge chair at WET Pool and Deck as you enjoy a cool ceviche, or indulge in some “me time” at Away Spa. 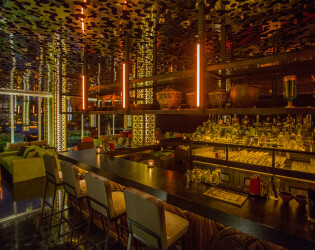 Celebrate the sensuality of South Asian cuisine at Spice Market, Jean-Georges Vongerichten’s imaginative restaurant concept. 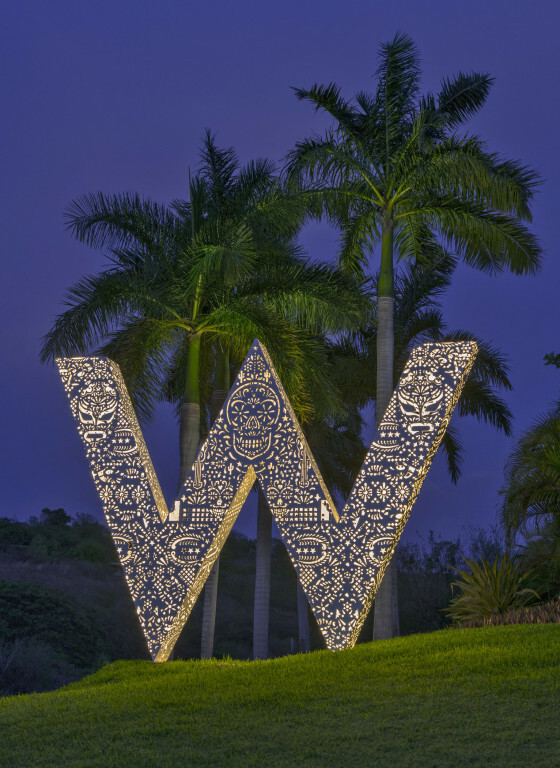 Let our W Insider or concierge help you book an exciting excursion – or slip away to the beach and enjoy the fine art of doing nothing. 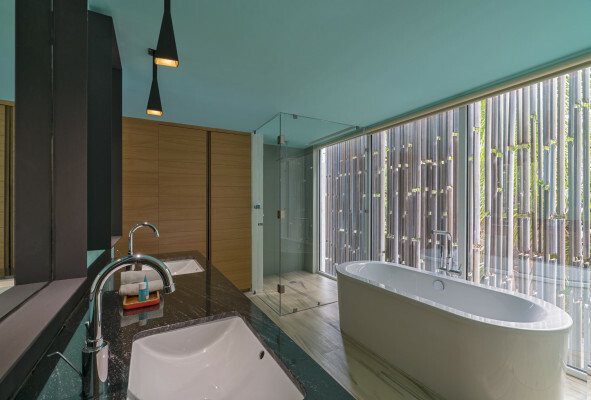 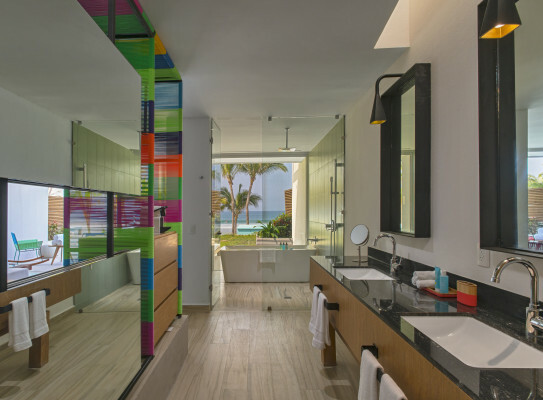 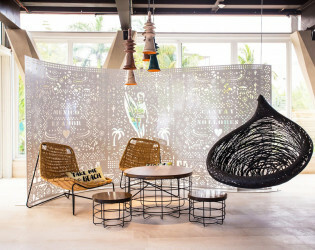 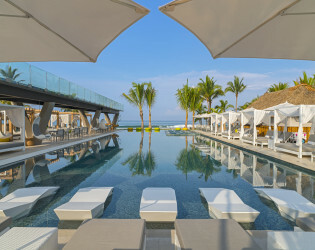 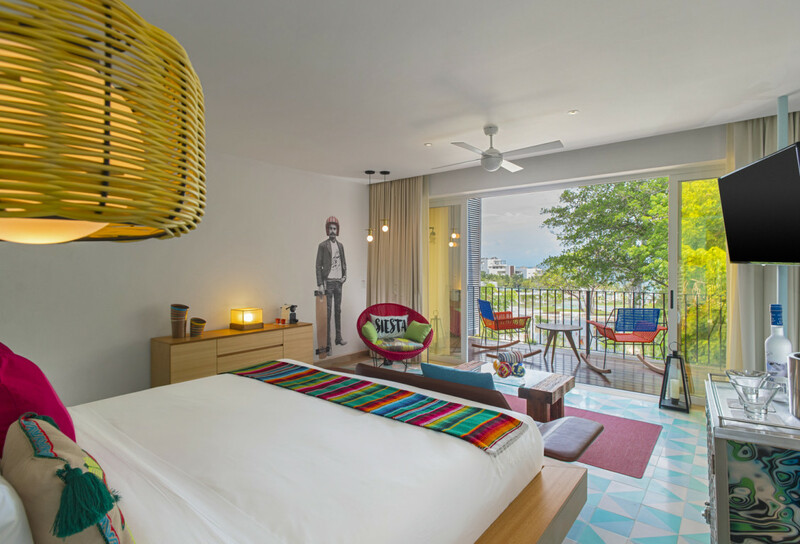 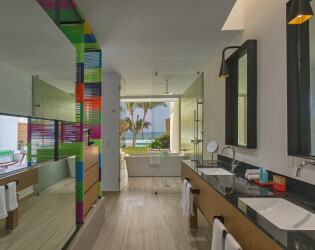 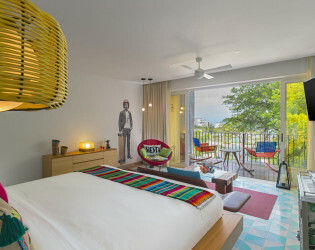 Designed by ASET/AOMA in collaboration with Oakland-based design firm Mister Important Design, and Starwood’s award-winning design team, W Punta de Mita is inspired by the local bohemian surf culture found throughout Mexico’s Pacific Coast. 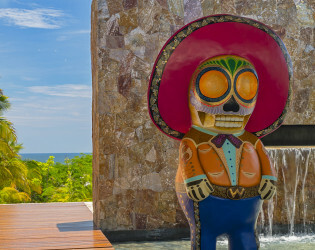 Steeped in historical, social and spiritual context, the design of the hotel conveys: colorful Mexico; the blues of the bay and the coast surrounding Bahia de Banderas; traditional patterns of the Huichol people (indigenous people of Nayarit); images of traditional Mexican celebration; sensational sunsets over the beach; vivid handcrafts with ancient roots and the amalgamation of Spanish and indigenous cultures all of which are brought to life throughout the hotel’s luxurious and stylish villas, public spaces, and buzzing bars and restaurants. 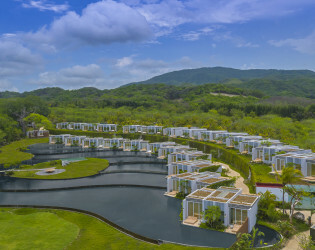 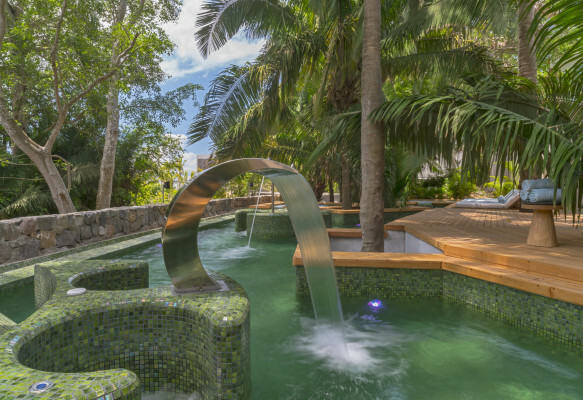 When designing the property, careful measures were put in place to ensure that the natural surroundings – the ancient fig trees and natural springs – were not disturbed during construction. 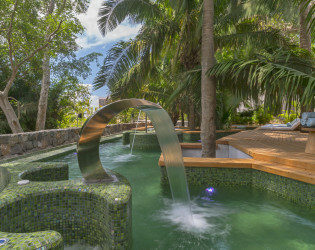 Many of these natural features are showcased throughout the hotel’s design including the reuse of spring water in the reflection pools and within the spa. 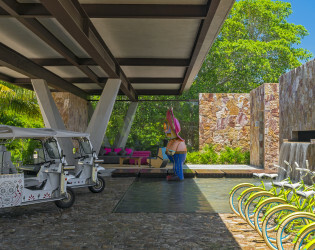 Upon arrival, guests are greeted with a cheeky and oversized 9-foot Huichol statue standing in a reflection pool, along with a fleet of colorful Tuk Tuks with artwork customized by Revolución Del Sueño, a Sayulita based design studio, that whisk travelers from the main entrance to the Welcome area and Living Room (the brand’s take on the hotel lobby), as well as around the grounds. 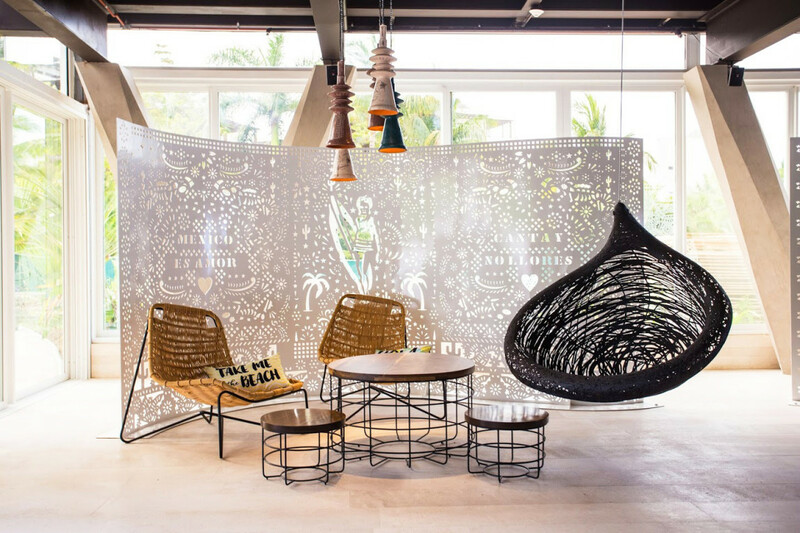 Backdrops behind the Welcome Desks, are reimagined versions of Papel Picado, a traditional Mexican folk art that hangs in villages during community events and celebrations and evocative of being welcomed into a Mexican fiesta. 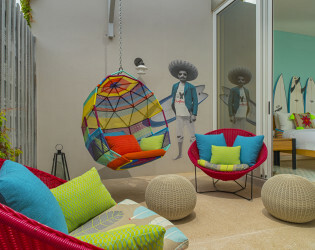 Mexican wrestling masks (Lucha Libre); historical figures with surfboards; mariachi instruments; candy skulls, evoking death; and sayings such as “Mexico es Amor” and “Canta y No Lllores” translating to Sing and Don’t Cry (a line from a famous local song which highlights the culture’s upbeat disposition) are artfully embedded into the hotel’s design. 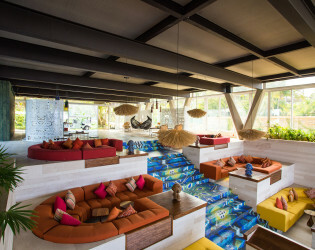 W Punta de Mita offers five distinct dining spaces where guests can mix and mingle including one of the most exclusive restaurants in the world, Mesa1. 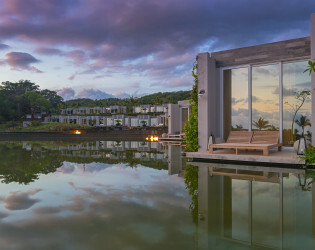 Privately situated on an island in the middle of a spring-fed lake, this “restaurant” can accommodate only one seating daily. A gastronomic experience unlike any other, guests arrive on stepping stones that emerge from the water and disappear once everyone has been seated. 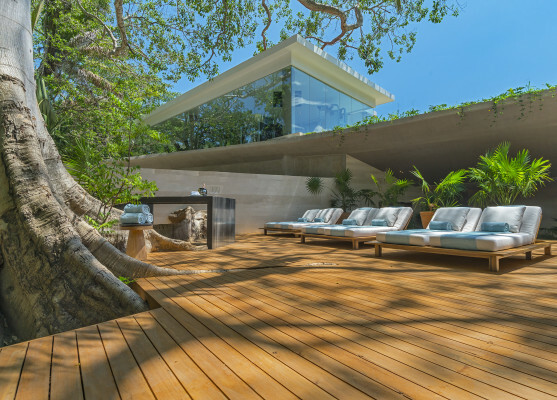 A massive Parota tree trunk from the local forest was repurposed to create the spectacular dining surface. The evening is then topped off with a seven-course customizable tasting menu prepared by one of W Punta de Mita’s private chefs. 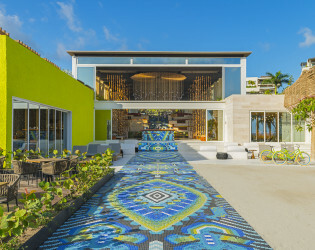 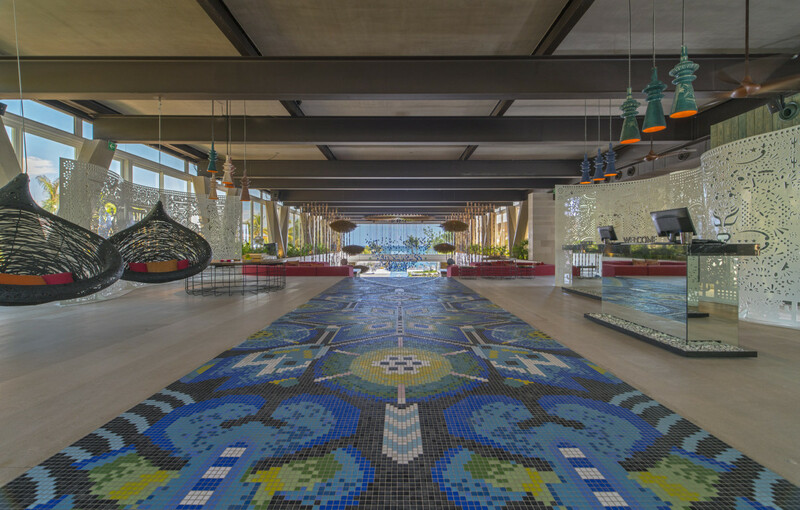 A bright blue and green mosaic “Camino Huichol” walkway, stretching over 450 feet, acts as the central nervous system of the space, with restaurants branching off. 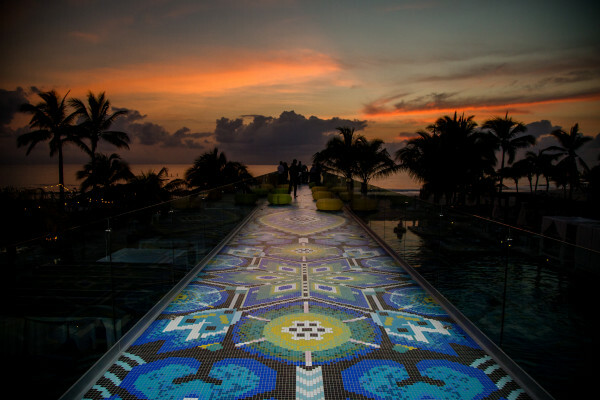 The walkway guides guests from the Welcome area, through the Living Room and onto the center walkway of the WET deck (pool area), finally jutting out over the beach for that Insta-worthy view of the sunset over the Pacific Ocean. 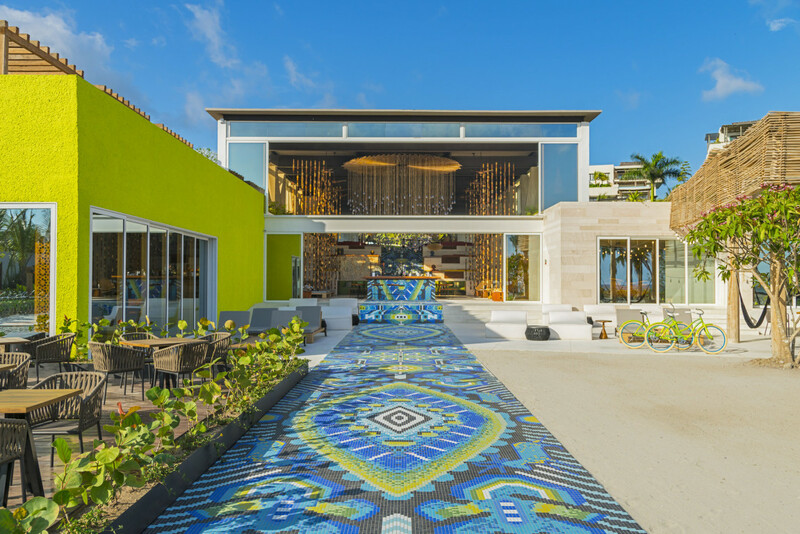 Comprised of more than three quarters of a million individual tiles, the colors and scenes depicted within the design are inspired by the Huichol people who are indigenous to this area of Mexico. 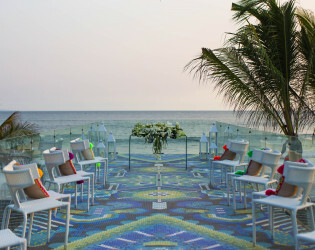 The pathway is also a representation of the Huichol life journey, highlighting the ups and downs of life, with the goal to achieve spiritual ascension (as you may over the ocean at the end of the path). 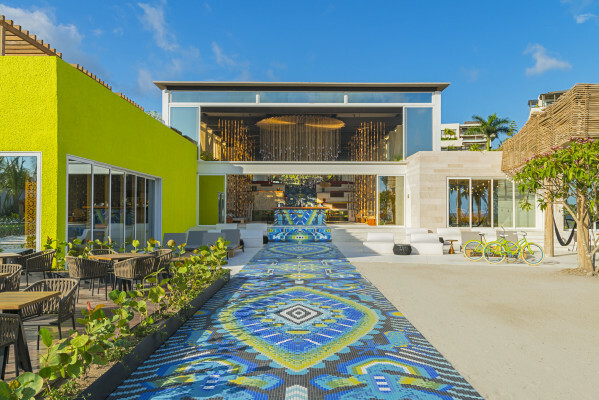 Awards & Notables W Punta de Mita has been selected for the 2017 Top of Mex Awards from InMexico. 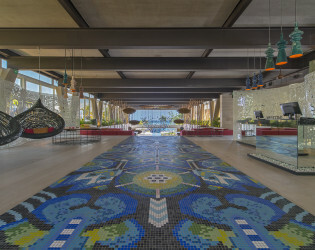 A bright blue and green mosaic “Camino Huichol” walkway, stretching over 450 feet, acts as the central nervous system of the space, with restaurants and shops branching off. 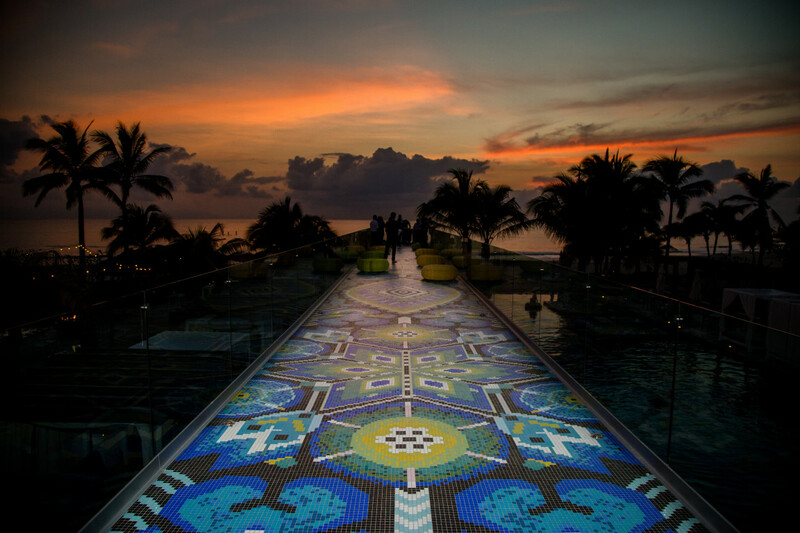 The walkway guides guests from the Welcome area, through the Living Room and onto the center walkway of the WET deck (pool area), finally jutting out over the beach for that Insta-worthy view of the sunset over the Pacific Ocean. 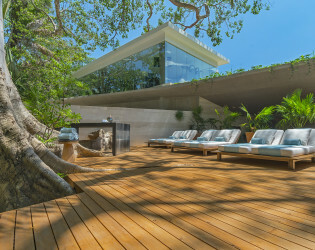 Outdoor garden area ideal for large events. 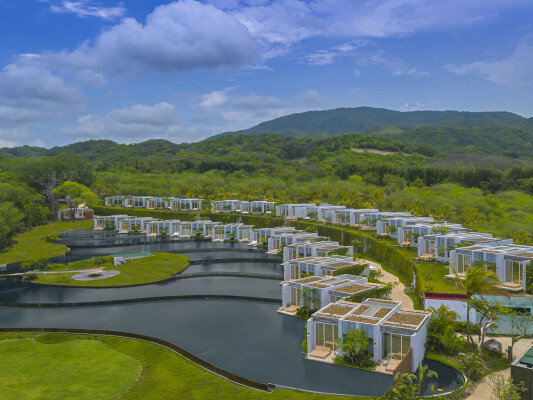 Privately situated as an island in a water feature, MESA1 is exclusively available via reservation for up to 14 of your nearest and dearest. 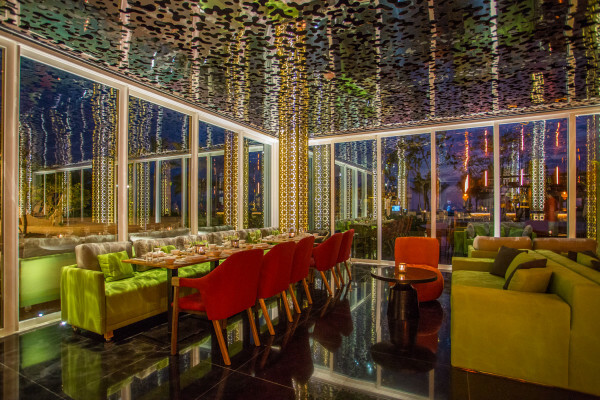 Indulge in a seven-course tasting menu by a personal chef who will design the perfect epicurean journey. 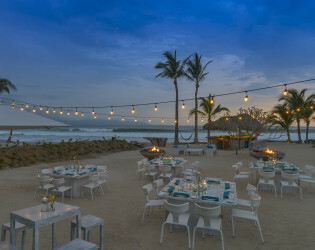 Outdoor sandy area ideal for small and large events. 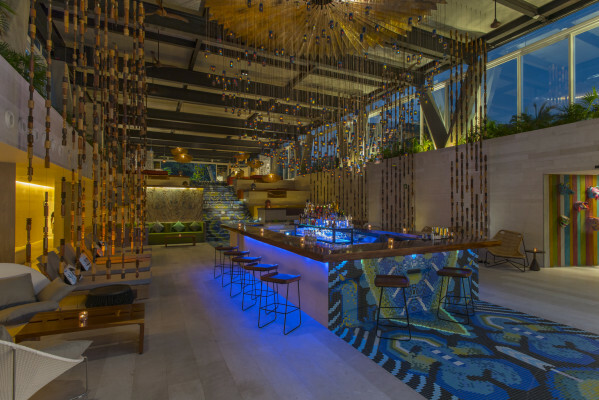 Our all-day restaurant encourages interaction, with an open kitchen, live cooking stations, and an exciting make-your-own-meal area. 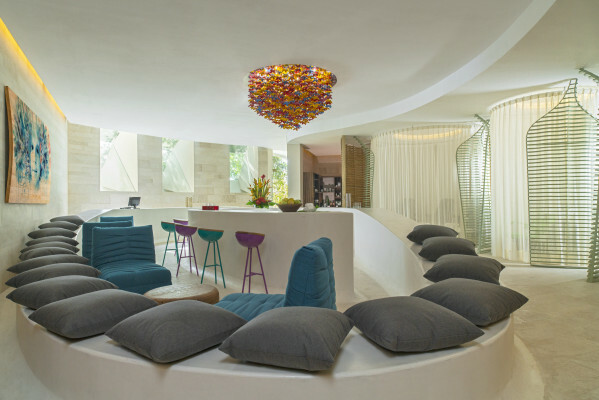 Wake up to a bountiful breakfast buffet, with a fresh jugo verde bar, tropical fruit, and fluffy omelets, cooked to order in front of you. 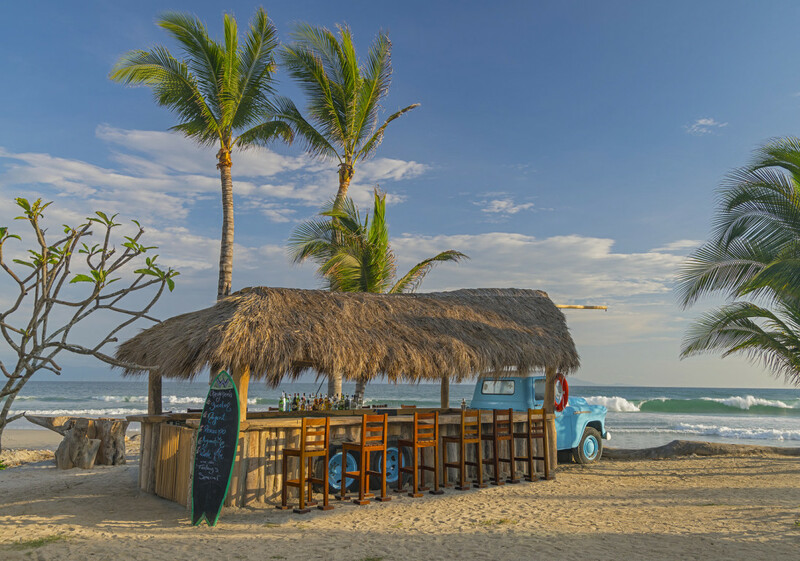 At Chevicheria, signature ceviche and craft beers are served from a converted 1950s Chevrolet 3800 truck. Vibrant Latin American recipes blend citrus and raw fish or seafood seasoned together. There’s no better place to soak up the Punta de Mita sun than at WET, our shimmering outdoor pool. 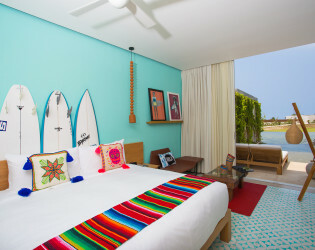 In fact, you might just find yourself camped out here on a regular basis during your hotel stay. Dip your toes in the water as you sip a fresh-pressed juice or a signature Mojito from our Huichol-inspired WET Deck. 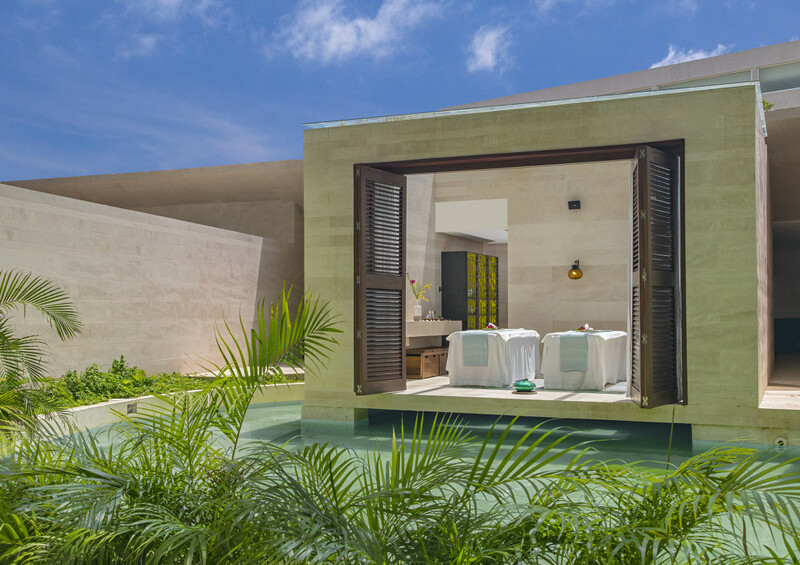 Stake your spot in one of the private cabanas. 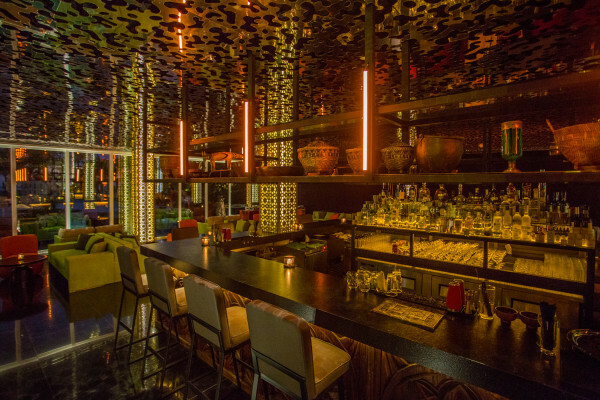 Order an alcoholic ice cream or a refreshing ceviche. 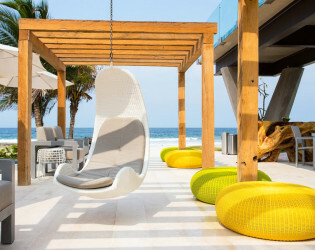 Or simply stretch out on a lounger and snooze the afternoon away. And don’t forget to stop by in the evening for live music and an uber-trendy atmosphere. 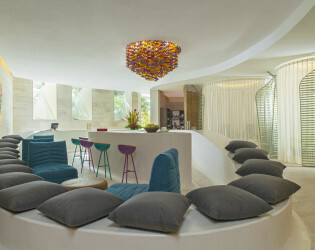 Living Room at W Punta Mita welcomes you with a vibe that is equal parts pulsating energy and easygoing style. 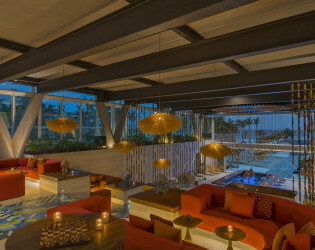 Begin your evening here socializing over a cocktail amidst twinkling votive candles, or stop by late for a nightcap. 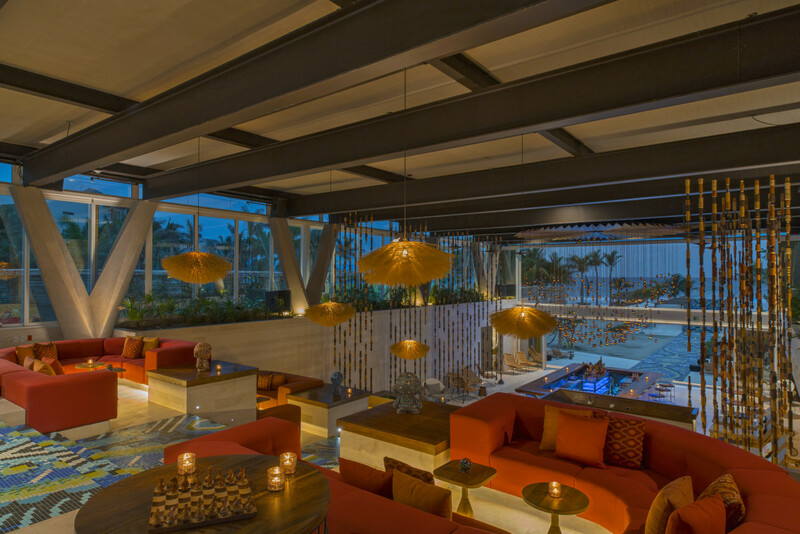 Kick back with a Mojito and let our DJ provide the soundtrack to your experience. 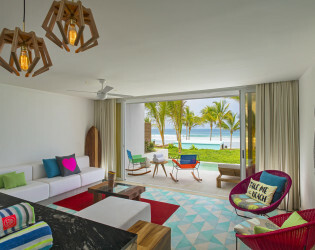 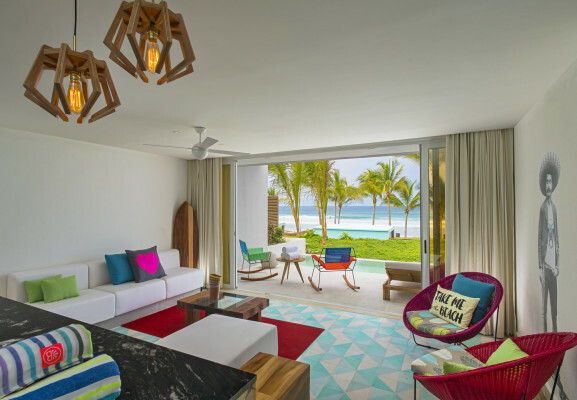 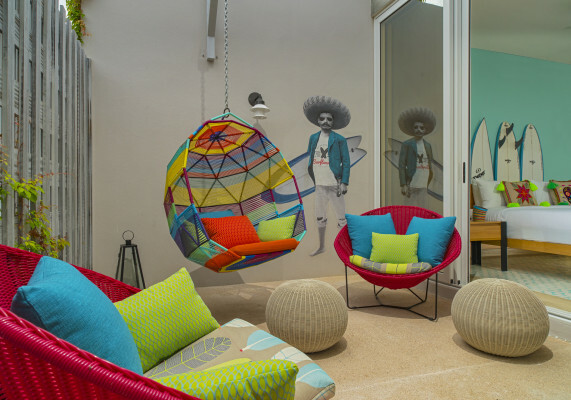 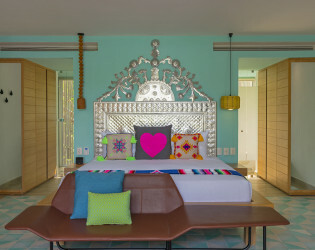 If there’s one thing you instantly notice about W Punta de Mita upon arrival, it’s the colorful, bold and bright décor. 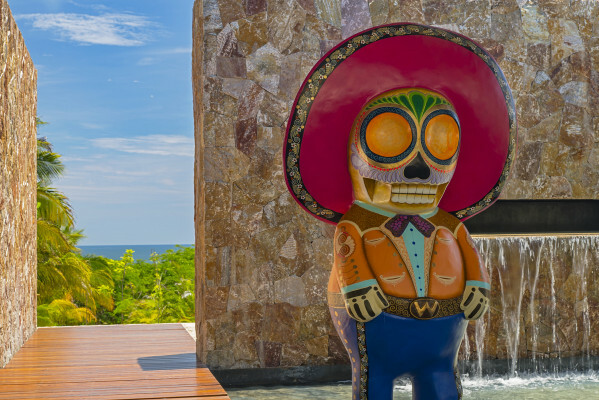 Embracing the artistry of the indigenous Huichol people, the hotel’s many art installations and bold architectural flourishes give this resort a personality all its own. 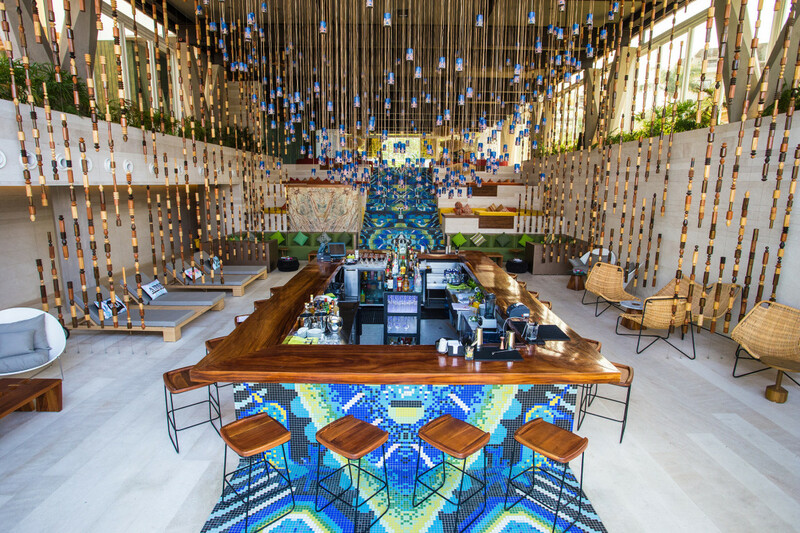 So, when we got wind of a wedding that embraced the décor and accented it through interesting lighting installations and bold floral décor, we had to hear more. 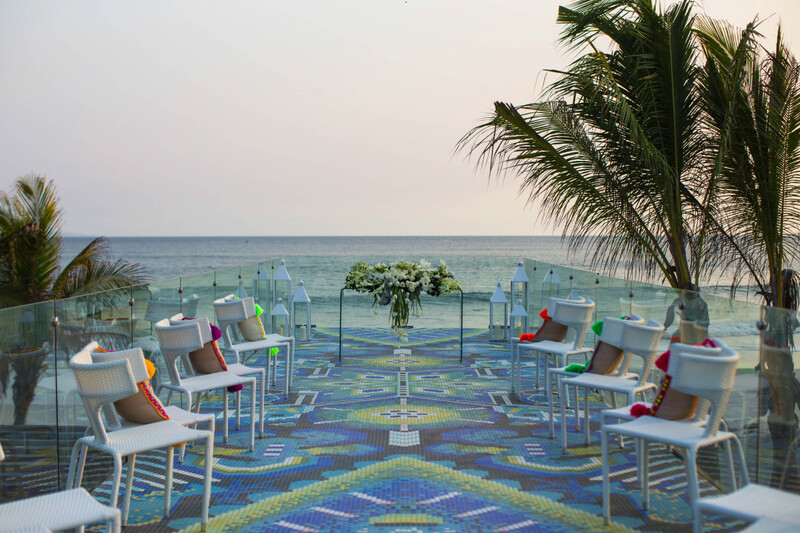 We caught up with photographer Ana Hinojosa about the creative and lighthearted, celebratory spirit of this 3-day wedding weekend captured in her images. 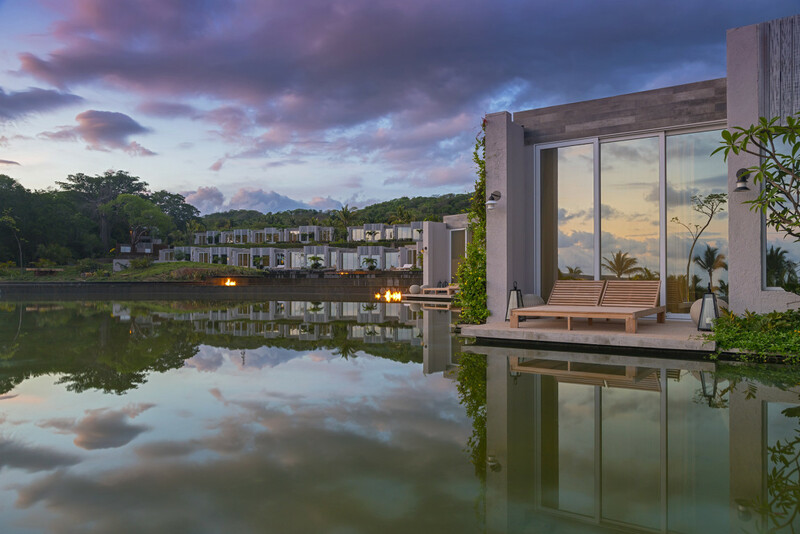 If you are on the hunt for a tropical destination with a waterfront view for your special day, this just might be the venue you've been searching for! 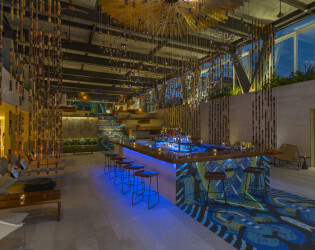 Relax poolside at our Huichol-esque WET Deck with ceviche, a signature mojito or another curated cocktail prepared by an extraordinary mixologist. Colorful bright accommodations with amazing views. 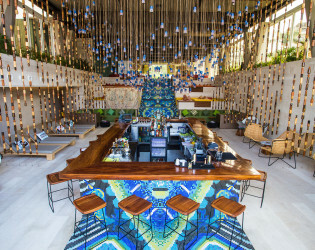 Sip a great variety of authentic signature cocktails as you lose yourself in chill vibes and hot beats, from progressive house to scintillating live DJ mix. Detox and recharge at AWAY® Spa, either in a private indoor treatment room overlooking the lake or outside amid lush surroundings. 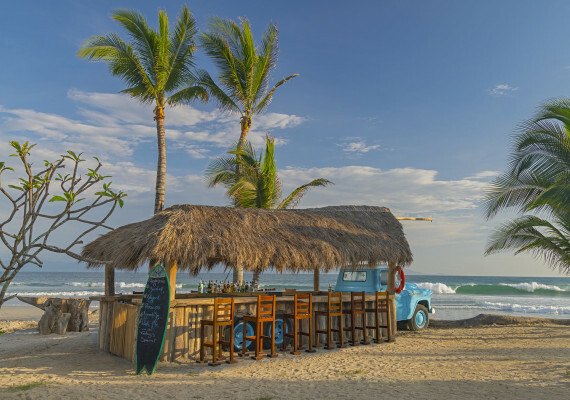 W Punta de Mita has one of the best surfing beaches, ideal for beginners or experimented surfers, the property works with an agency in house named (Wave) which has capacity to give lessons and rent equipment (also for paddle, paddle surf, kayaking, etc). 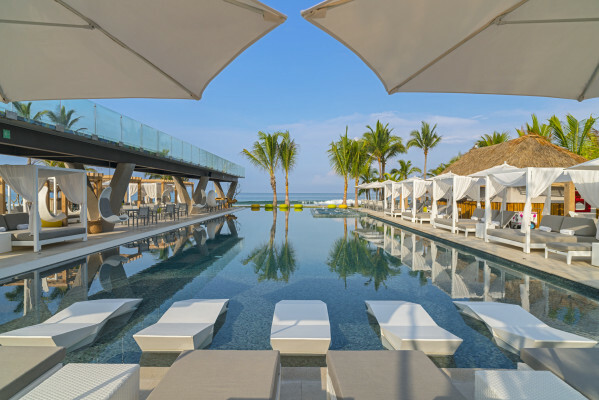 Jump into the vibrant scene at WET®, which features an oceanfront infinity pool. 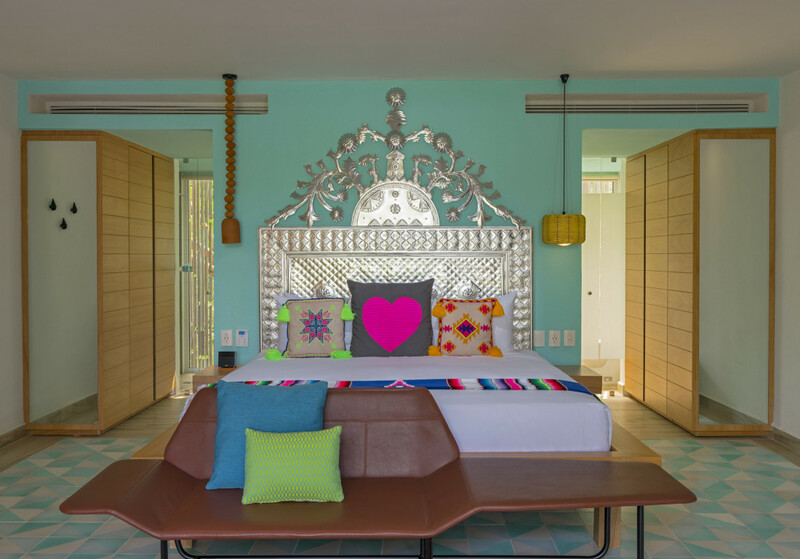 Large rooms with fun decor elements. Relax in your soak in tub after a day of exploring. 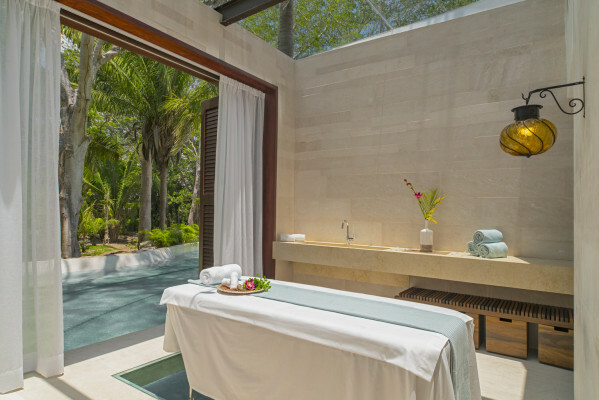 Relax by the outdoor spa. 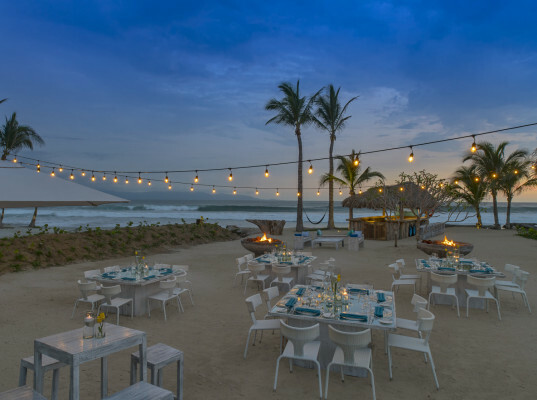 Choose a brilliant backdrop for an unparalleled wedding or commitment celebration that reflects who you are as a couple, from a private ceremony for two to a sophisticated banquet for 200. 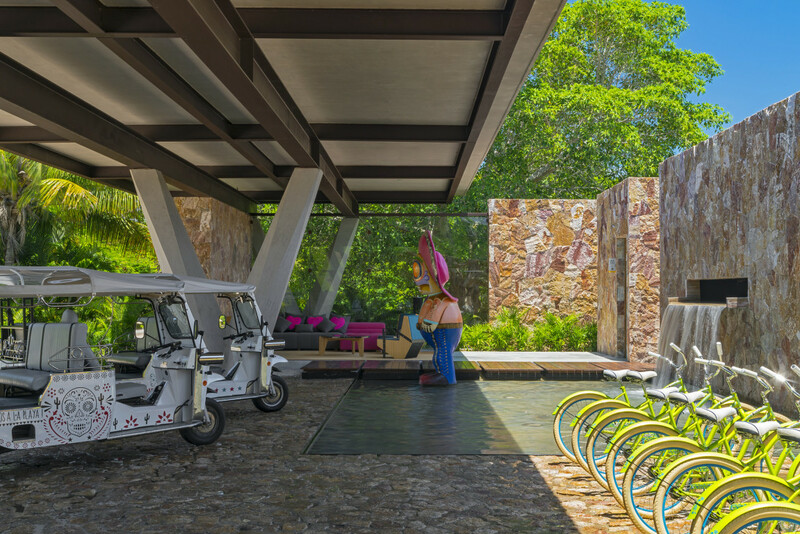 Explore the surrounding city with the hotel's bike. 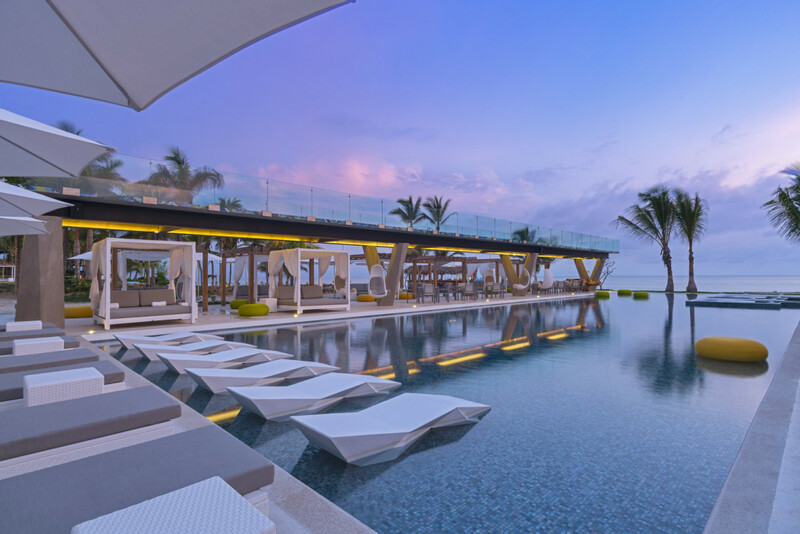 Enjoy the beautiful sunset by the pool. 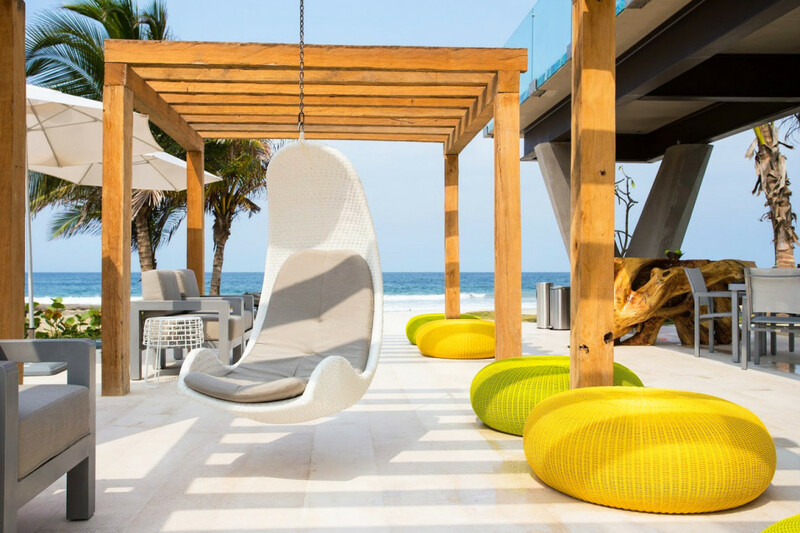 Elevate any meeting or event from ordinary to extraordinary at W Punta de Mita. 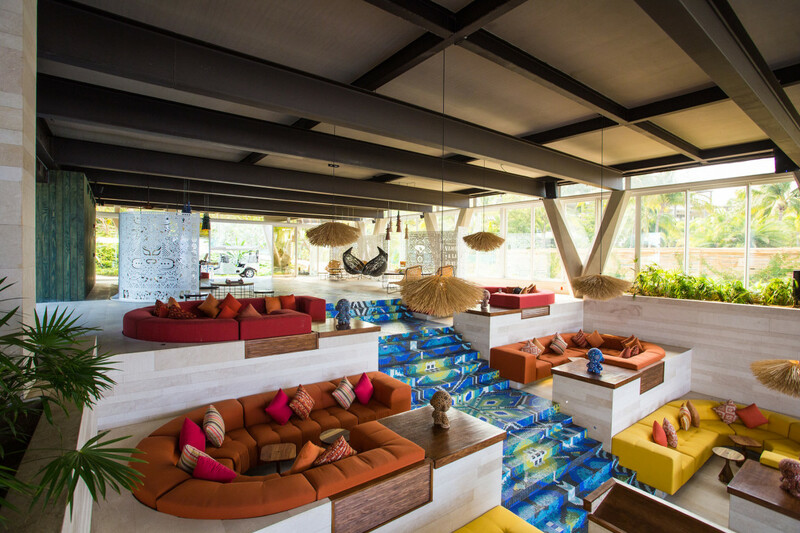 Bask in Spice Market Beach’s casually exotic setting that reflects our tropical region. 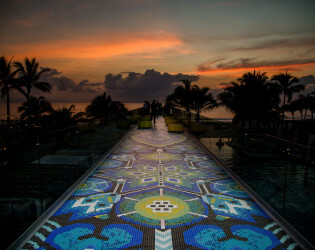 A bright blue and green mosaic "Camino Huichol" walkway, stretching over 450 feet.